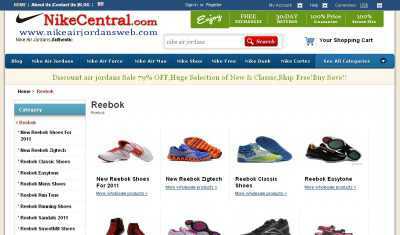 NikeCentral.com currently redirects to NikeAirJordansWeb.com, a site where you can buy authentic Nike shoes at affordable prices. 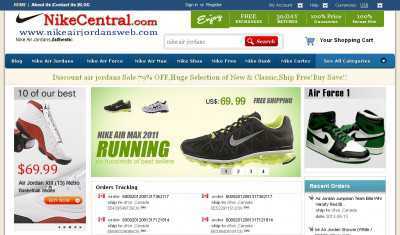 As you can guess by looking at the name of the site alone, this online retailer specializes in Nike Air Jordans. But there’s more to the site than that, as many other lines such as Nike Air Force, Nike Air Max and Nike Dunk are actively featured. As a matter of fact, on this store you’ll also get to buy shoes manufactured by other brands such as Adidas, Puma, Reebok and even Gucci. It’s all a matter of picking the one that applies from the provided navigation menu. 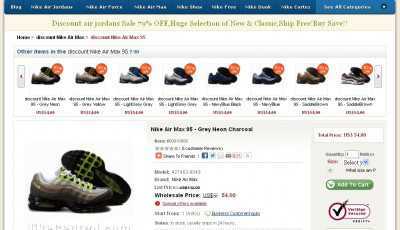 All of the shoes that are featured on NikeAirJordansWeb.com come in different sizes and colors, and you can browse through all of the available models and easily order the one that would look best on you. Of course, you can look at all the available shoes from lots of different angles. Full galleries are provided, for you to go over any shoe that looks interesting in as much detail as you need before placing an order. And once you’ve finally bought something on NikeAirJordansWeb.com, then you’ll get to track your order on the main page. There’s a section where these orders that have already been dispatched both to the US and Canada are listed, one by one.